Progressive Voice » Will Anyone Defend the Defenders? Moves toward accountability for international crimes in Myanmar continue at the international level, with the UN Human Rights Council adopting a landmark resolution on the establishment of an independent, impartial international mechanism to “collect, consolidate, preserve and analyze evidence” to prepare for future prosecutions.Moves toward accountability for international crimes in Myanmar continue at the international level, with the UN Human Rights Council adopting a landmark resolution on the establishment of an independent, impartial international mechanism to “collect, consolidate, preserve and analyze evidence” to prepare for future prosecutions. While efforts for accountability must continue to move forward at the international level, focus must continue on the deteriorating domestic situation. 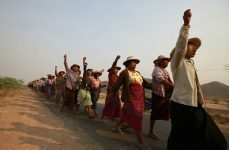 Despite the serious risks, human rights defenders on the ground have come out publicly in support of the UN’s moves toward accountability, including the findings of the Independent International Fact-Finding Mission on Myanmar (IIFFMM) and the International Criminal Court’s (ICC) decision on jurisdiction. These human rights defenders need to be adequately protected and supported. There is an urgent need to create safe and conducive civil society space so that the people of Myanmar can openly question the military’s actions and speak out in support of truth, justice and accountability. The few inside Myanmar who have dared to speak up in support of holding the Myanmar military to account through mechanisms such as the ICC have faced serious consequences. Movement for Democracy Current Forces (MDCF) members Htin Kyaw and Tin Maung Kyi, were promptly arrested after demonstrating at different times in front of Yangon City Hall with a sign calling for the UN and the ICC to “come quick and arrest Myanmar’s murderous generals” – though the protesters refrained from making comments about the specific situation currently under consideration at the ICC: the deportation of the Rohingya people. The two have been charged with Article 505(b) of the Penal Code, which prohibits causing “fear or alarm” to the public. Widening civil society space is further shrunken by the fact that human rights defenders and others who tried to engage with UN mechanisms have faced threats and reprisals from the military and Government. A new Report by the UN Secretary General on Cooperation with the United Nations, its Representatives and Mechanisms in the Field of Human Rights noted reports of reprisals faced by Rohingya villagers who spoke to members of the Security Council mission to Myanmar and to the Special Rapporteur on the situation of human rights in Myanmar. 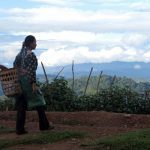 The report also noted reprisals against two people who made complaints of forced labor to the International Labor Organization, including Aung Ko Htwe, a former child soldier arrested for giving an interview about his experience. As this report states, “Intimidation and reprisals affect not only the individuals and groups directly impacted, but are alarming also for the message they send to other actors and individuals.” Reprisals in Myanmar send the clear message that speaking out about the military’s abuses and/or supporting accountability will not be tolerated. Even human rights defenders who work on less sensitive subjects face repression. On 28 September, 2018, human rights lawyer Khin Khin Kyaw was sentenced to 6 months in prison after a three-year trial on charges of disrupting court proceedings, filed in relation to her representation of student protesters from the 2015 protests about the National Education Law. A supporter, Than Htike, was also sentenced to 6 months in prison on the same charges. Human rights defenders commonly go against established norms and powerful actors in their own countries, and thus international support, including from UN offices, diplomatic missions and international organizations present in the country, can be crucial to their protection. 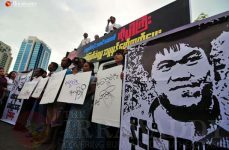 In Myanmar, those international actors have not sufficiently or effectively supported and acted to protect human rights defenders who are seen as controversial, including those working for accountability and calling attention to the military’s abuses. 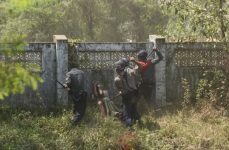 Some high-profile cases, such as the two Reuters reporters, were taken up by international actors in Myanmar. However, the UN and foreign embassies continually prioritized their relationships with the Government and Military over listening to the warnings of human rights defenders, who told them time and again of the military’s abuses. 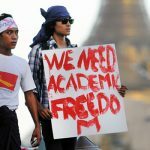 As the IIFFMM noted in its report, the UN in Myanmar’s approach “was largely ‘business as usual,’ with development goals and humanitarian access prioritized only.” Without sufficient and effective international support, human rights defenders in Myanmar have been thus far left to defend themselves against the retribution of the military and Government. Over the past weeks, an encouraging number of people and organizations inside Myanmar have expressed their support for accountability. Many of these organizations represent conflict-affected ethnic nationalities, who are already vulnerable to military abuses. Many more people likely also support accountability but are rightly afraid to speak up. 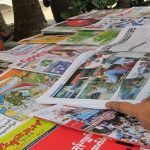 Until there is a safe space for dissent and criticism in Myanmar, there will never be a true debate about accountability, truth and justice. The Myanmar Government must protect, not punish, those who speak out, and the international community in Myanmar must support and do all it can to protect human rights defenders, including those who work on sensitive topics. At the same time, international moves toward accountability must step up concretely. When the UN General Assembly considers its resolution on Myanmar during its 73rd session, it must include support to the establishment of the IIIM as decided by the Human Rights Council during its 39th session, including by providing it with adequate funding. The General Assembly must also designate funds to support victims, who continue to suffer while the international community takes the necessary steps toward accountability. 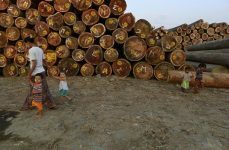 Without such efforts, the decades of abuses will continue and the people of Myanmar be left unprotected at hands of the military, while human rights defenders will continue losing the space to work for the protection of the people’s human rights.